The Lodge, luxury living at Turning Stone Resort, Casino and Spa. Stunned and delighted with the success of a simple bingo parlor, the Oneida leaders set out to create a first-rate resort that could secure future priorities for their people, better education, health and housing. The Oneida, known as the "people of the standing stone," named it Turning Stone for the effect it would have on their lives. I recently spent two nights there as their guests and was most impressed with the service, quality, amenities and attitudes, not to mention the improved lives of those living in Oneida territory. Casino buffs will be pleased, gourmets will be more than satisfied and golfers will love it. Turning Stone is located 30 minutes east of Syracuse, NY, near the town of Oneida and the Finger Lakes region. Here is a sample of their specials. Starting at $635 for The Lodge, $540 for the Tower and $520 for the Hotel, per person based on double occupancy, available May 1 through September 30, 2012. Starting at $380 per person based on double occupancy, available May 1 through October 31, 2012. 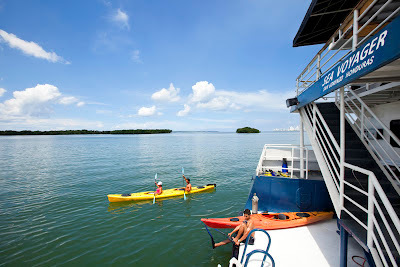 Starting at $303 per person based on double occupancy, available May 1 through October 31, 2012. What: Summer rates from $160 per night per room. When: Through Nov. 12, 2012. Where: The Boar's Head Inn, Charlottesville, VA.
Fine Print: Resort fees, taxes and gratuities extra. What: Six hotels offer discounted rooms for the Kansas City Barbecue Society-sanctioned Great Southern Tailgate Cook-off which has 50 professional and backyard teams vying for Best Barbecue cash awards and bragging rights plus free live entertainment from Little River Band and Rockit Fly. When: 3 p.m. Aug. 24, 10 a.m. Aug. 25, 2012. More on the cook-off: www.gstailgatecookoff.com. Paddling from the Sea Voyager. What: Book any 2012-2013 Sea Voyager Expeditions cruise by Oct. 31, 2012 and pay no single supplement! Rates for these all-inclusive 8-12-night cruises aboard the ship M/V Sea Voyager range from $3,950 to $7,450, vs. the usual single rates of $6,350 to $8,950.Cruises concentrate on Colombia, Panama, Costa Rica and Ecuador and most transit the Panama Canal. • Eight-night "Treasures of Costa Rica & Panama," where guests explore the Secas Islands with hikes, by Zodiac and kayak, and snorkel the secluded bays, Marenco Biological Reserve with its monkeys, toucans, parrots, manta rays, dolphins and other exotic wildlife, and Panama's Darien Jungle with a visit to the local Emberá village. What: Reserve a 2013 Viking River Cruise through Europe or Asia by July 30, 2012 and get $1,000 per couple off airfare. That's in addition to two-for-one fares on selected cruises! Where: Viking River Cruises offers excursions throughout Europe as well as Vietnam and China along the Elbe, Seine, Saone, Rhine, Many, Moselle, Danube, Rhone and Mekong Rivers. Fine Print: Applies to new bookings only, airfares subject to change until full payment of air received. To Book: Contact your travel agent or call 1-800-707-8697 and ask for 2013EBD.